The House of the Seasons recently acquired a painting by Alonzo Perez, a Spanish artist who lived rom 1853 to 1929. 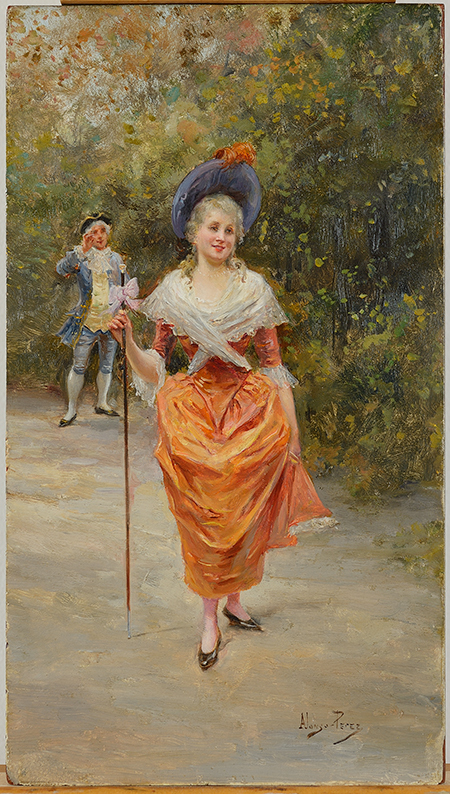 It is a turn-of-the-century impressionist painting of a young woman with a courtier. The painting was restored to its original brilliance by the talented Stashka Star, Art Conservator at Stashka Art Conservation, Inc.